As you all Know me, I am a big TeaLover, I drink a lot of teas:) I have teas for Everything, for my Eyes, for my Blood Pressure and for Detoxifying my Body as well. 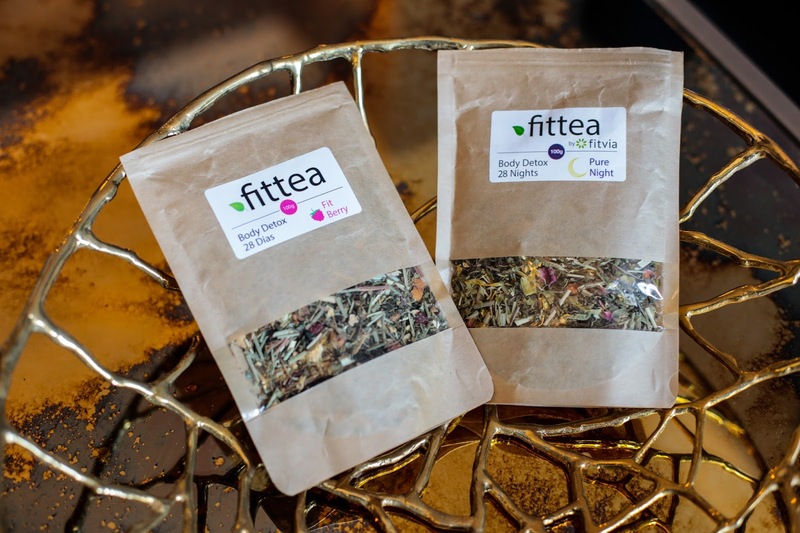 Three Weeks Ago, I started Using "Fittea the Pure Night Detox tea 28 Nights", "The Fit Berry Detox Tea 28 Days" (for morning) and the "True Happiness Tea". 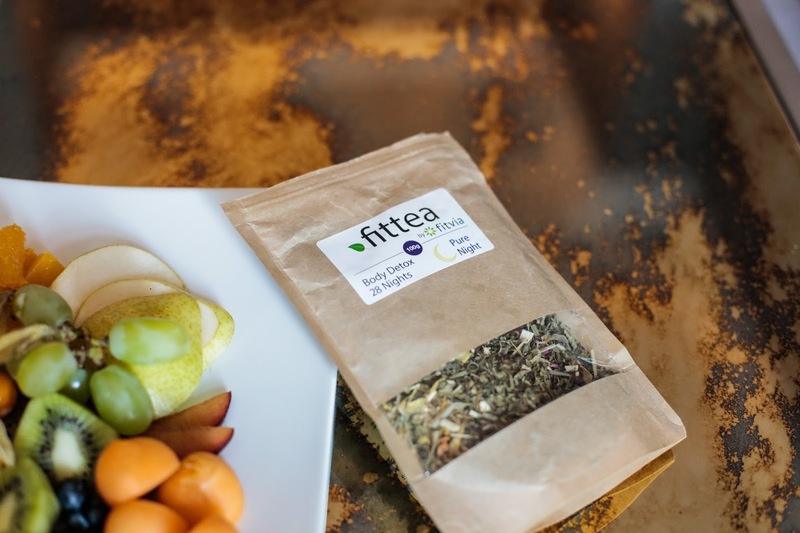 I will show you each Tea very detailed, but what I noticed about the Detox Teas, is that they Smell and Taste Amazing, this is because the Natural Ingredients. I really enjoyed Starting my Day with the Fit Berry Detox and Relaxing before sleeping with the Pure Night Detox. After 3 weeks I have enough experience, and I can say that the Teas Detoxify and cleanse gentle our Body, This is very important, I think. I felt more Energized in the morning and Slept much better as well. The Pure Night Detox tea is the perfect complement to your daily detox. It is Caffeine-free and contains effective ingredients such as moringa leaves, rose petals and ginger. 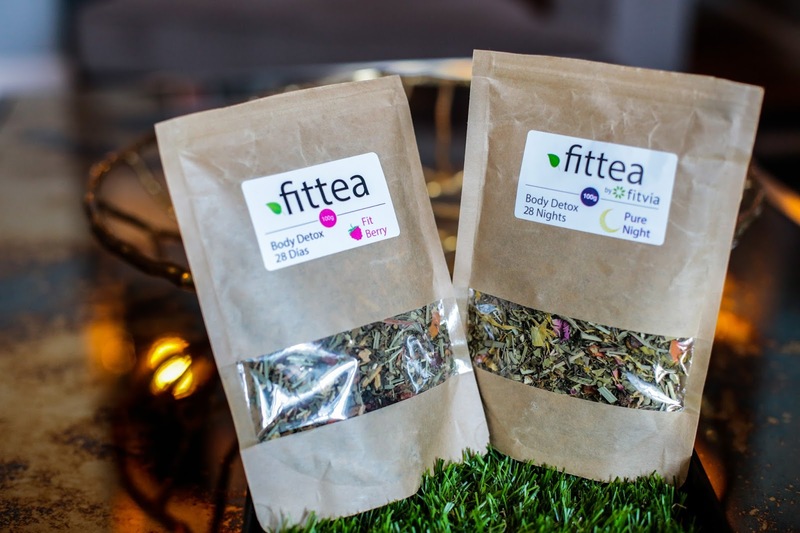 One cup of this tea every night helps to detoxify and relax your body after a long day. Experience special wellness feeling with the new Pure Night Detox Tea. 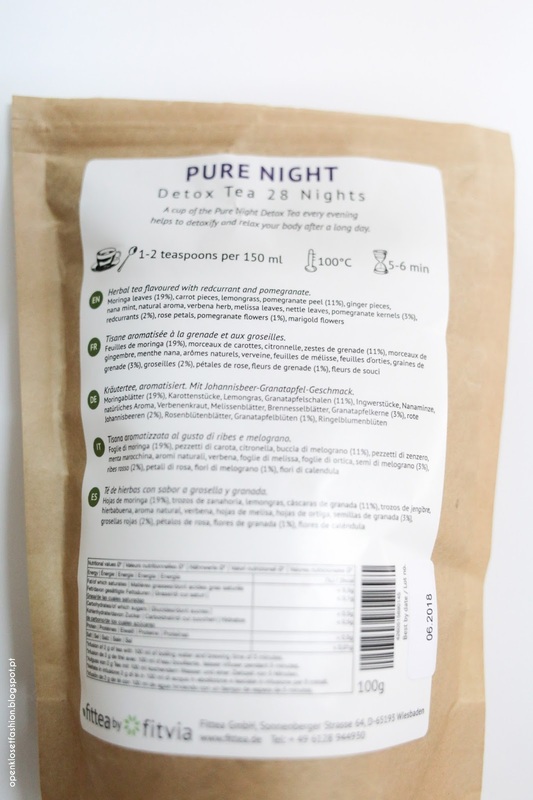 The natural ingriedients in the Pure Night Detox Tea actively support your Body's Regeneration during the night. 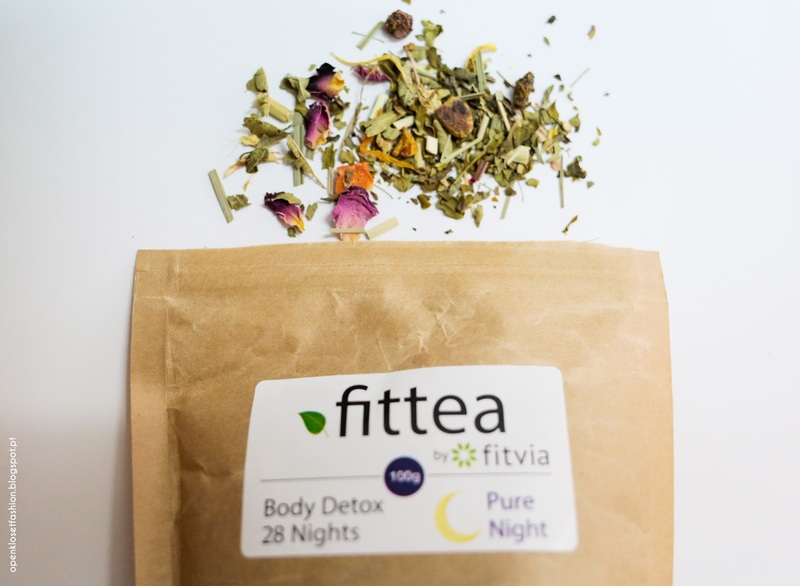 The Pure Night Detox Tea helps you stay Hydrated during while sleeping. Moringa leaves have great soothing abilities and their detoxifying power help to cleanse your body. The Antioxidative effect of pomegranate increases your body's well-being. Ginger contains valuable vitamins and minerals such as potassium and iron. The Marigold is meant to have a balancing, regenerating, and basic effect on our bodies. Herbal tea flavoured with redcurrant and pomegranate. 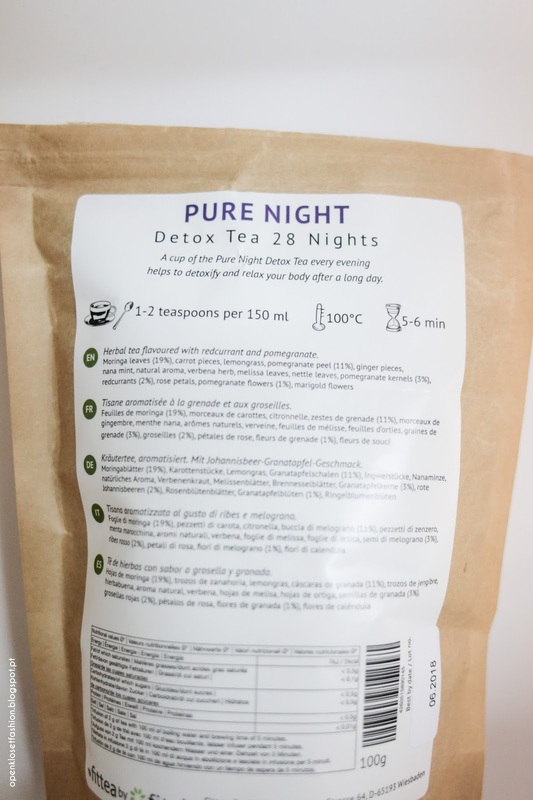 I am 100% satisfied with Pure Night Detox Tea and I suggest to Everyone who wants to do a Pure Detox, with Good Results Day by Day and Love Teas. Get Yours with 15% off with Code KARINA15 and share with me your Pure Night Detox Tea Experience, I am sure you will Love it. This Tea Release a naturally positive body feel and a pleasurable lightness. Get fit now and experience an incredibly good body feel! Discover the natural power of select superberrie. 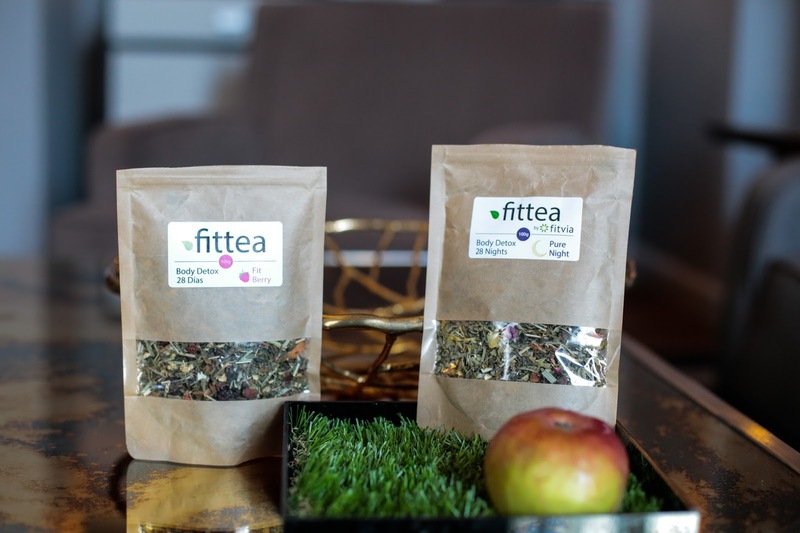 Experience special wellness moments with The new Fit Berry Body Detox Tea. 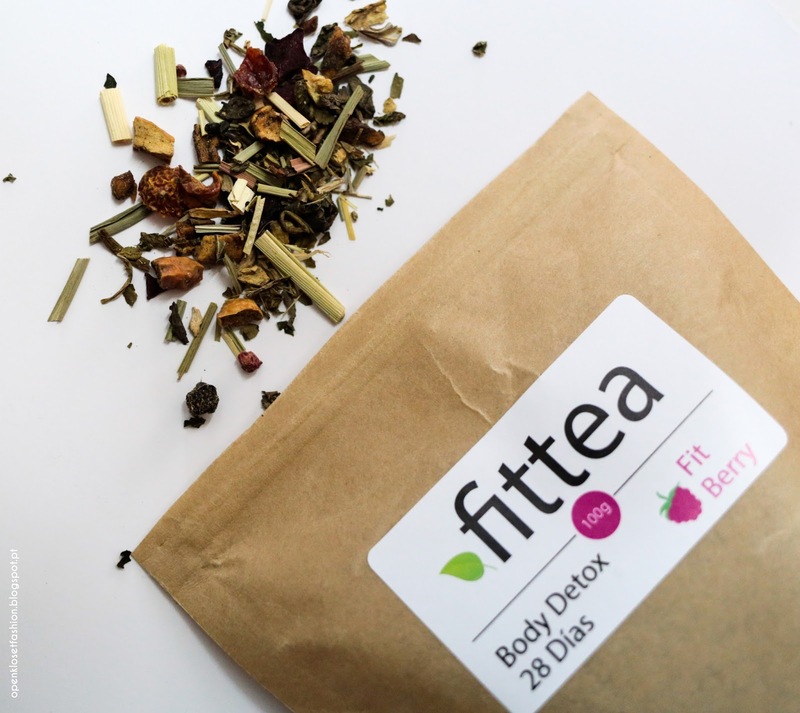 The Fit Berry Body Detox Tea supports your natural hydration. Tulsi is your perfect companion for Detox treatments and is known as an “Elixir of Life“. Gentle nettle leaves offer you a feeling of well-being and lightness. Fresh Raspberries infuse the tea with a delicious berry Note. Apple pieces, Green tea china gunpowder, Ginger pieces, Nettle leaves, Lemongrass, Dandelion, Tulsi herb, Beetroot pieces, Rose hip peels, Aroma, Blueberries, Raspberries, Blackberries. 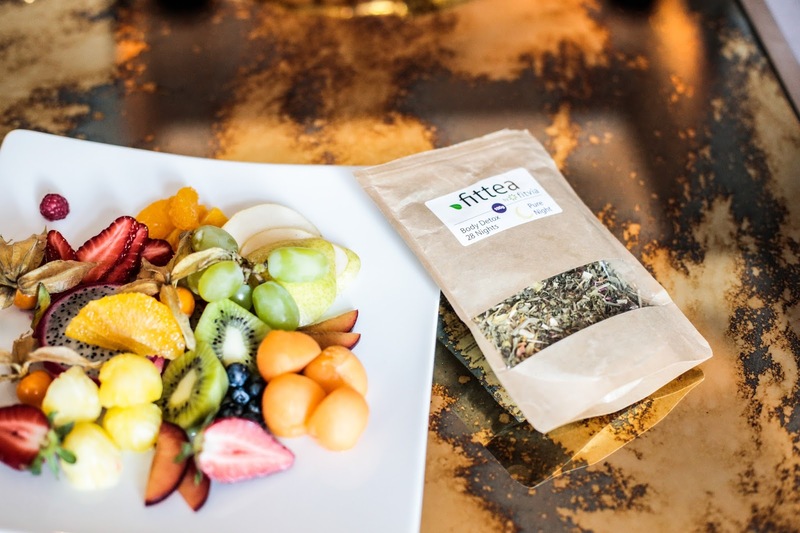 I am 100% satisfied with Fit Berry Detox Tea and I suggest to Everyone who wants to do a Pure Detox Morning, Start the day With more Energy, Good Results Day by Day and Love Teas. 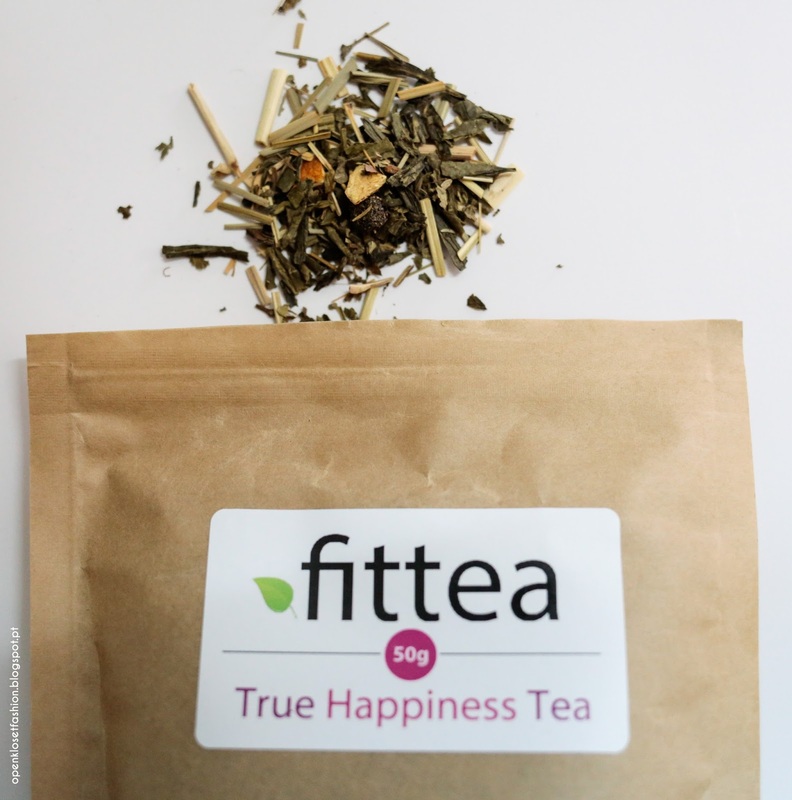 Happiness Tea contains especially pleasant ingredients in order to provide a happy mood during cloudy days! St. John’s wort and delicious strawberry bits have long been known as natural mood enhancers. The tryptophan from the blueberries combined with fragrant vanilla will enhance your well-being. 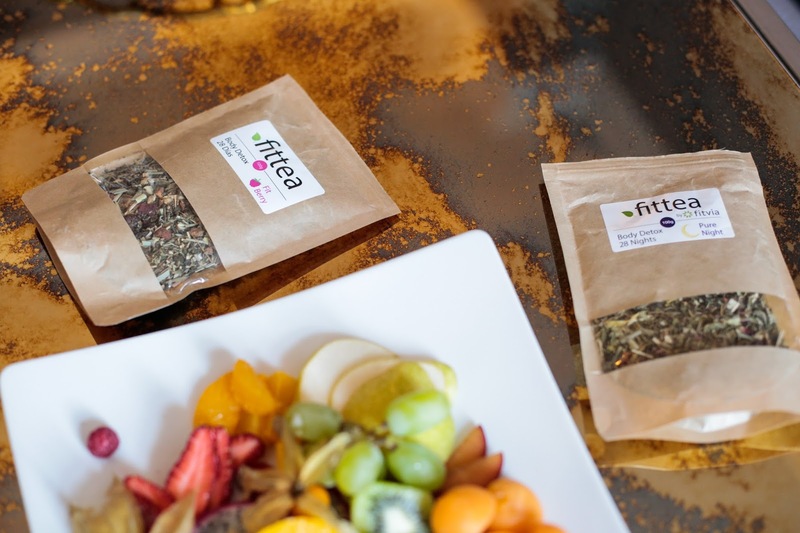 The True Happiness Tea helps you stay hydrated during the day for a healthy fluid balance. The pleasant lemony scent of lemon balm and essential oils should have a calming effect. Delicious Strawberry pieces have a distinctive fruity aroma and provide a good mood. Fragrant vanilla has long been known as naturally sweet Mood Enhancer. Fruity Aronia berries are known as a secret weapon with lots of vitamins. 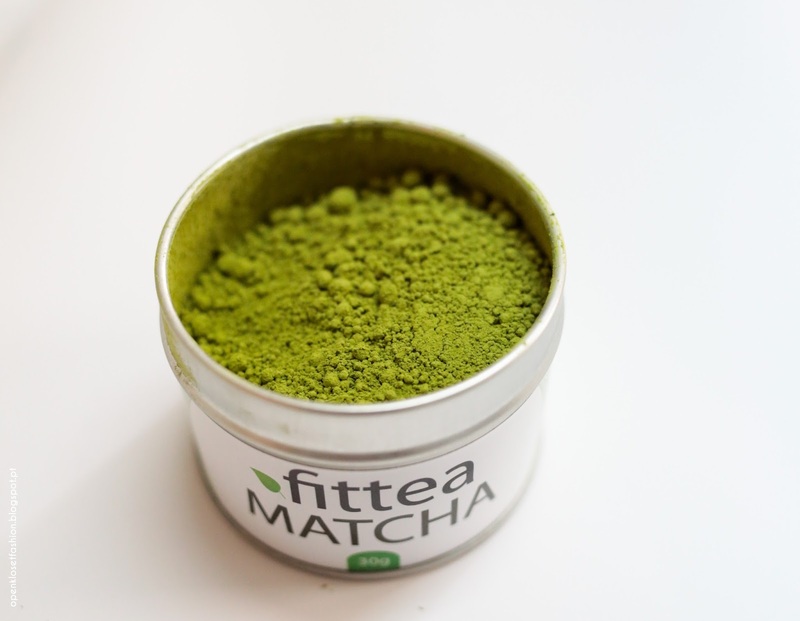 Matcha is the finest green tea powder and contains 137 times as much antioxidants as conventional green tea. 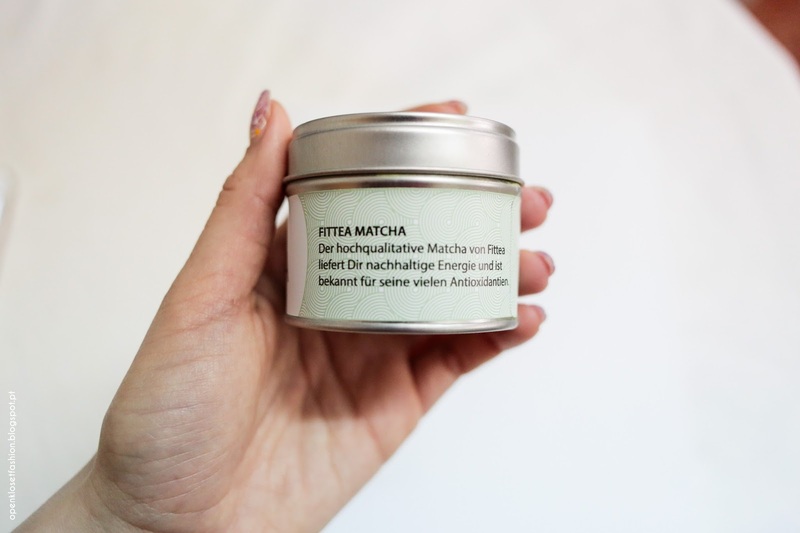 Start your Matcha Ceremony with the Matcha Ceremony Set! 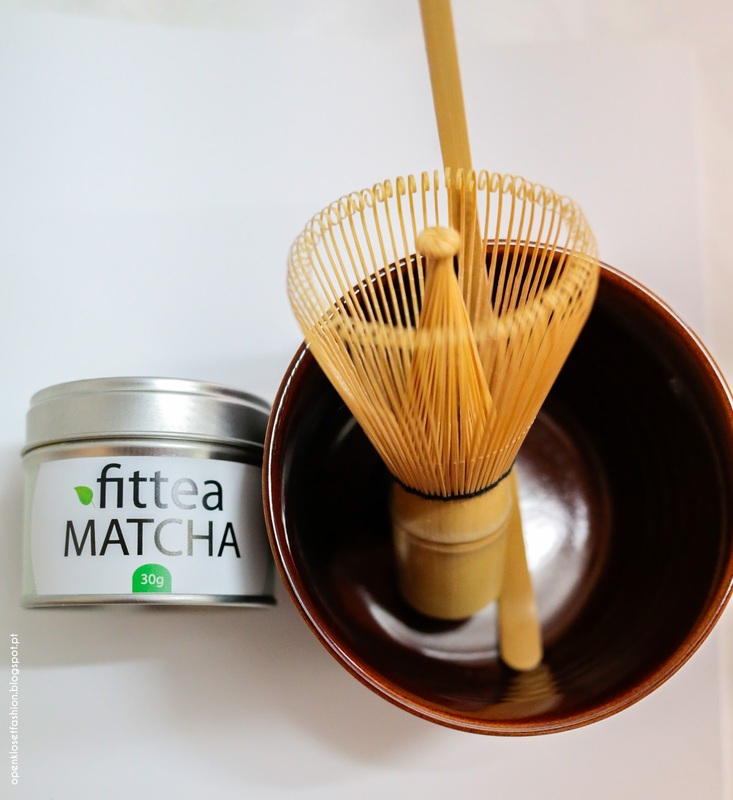 It contains our Fittea Matcha Tea, a Matcha bowl Haru, a bamboo broom Chasen and a bamboo spoon Chashaku. 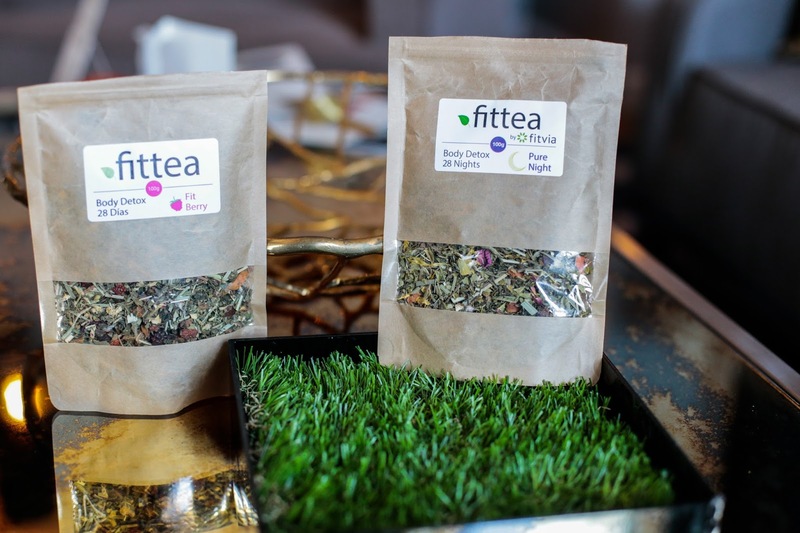 The Fittea Matcha provides you with more energy for your physical and mental fitness. Natural ingredients Boost your Metabolism so you can burn calories faster. Many healthy Vitamins and Antioxidants help strengthen your immune system.